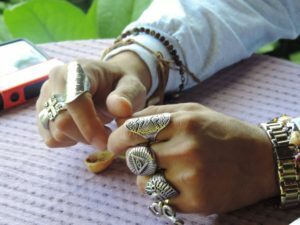 Brother Ash, a sorcerer based out of Richmond, Virginia, works with Hoodoo, which was learned from his mother, who learned it from her grandmother from Mississippi. He “works with both hands”. A “straight no chaser” type of magician, his primary focus in practice and for his blog is results based sorcery. He experiments and if it works he keep it, if it doesn’t he tweaks it until it does or move on. Results are what matter. The aim is to do his best to present his views on the art of sorcery and give clear instruction on methods that can be reproduced by those willing to roll up their sleeves and do the work. Many have heard of High John the Conqueror root, but did you know that High John is also a spirit that you can petition directly?